Reactions to the new ruling by the state Division of Alcoholic Beverage Control highlight the growing pains of an industry with significant economic potential, tight rules, and various entrenched interests. The tasting room at Cape May Brewery. Credit: Matt Skoufalos. For all the regulations that govern business in New Jersey, perhaps no industry is more tightly controlled than that of alcohol. Into that complicated legal landscape, lawmakers introduced regulations that enabled craft breweries to gain a market foothold with the establishment of onsite tasting rooms. 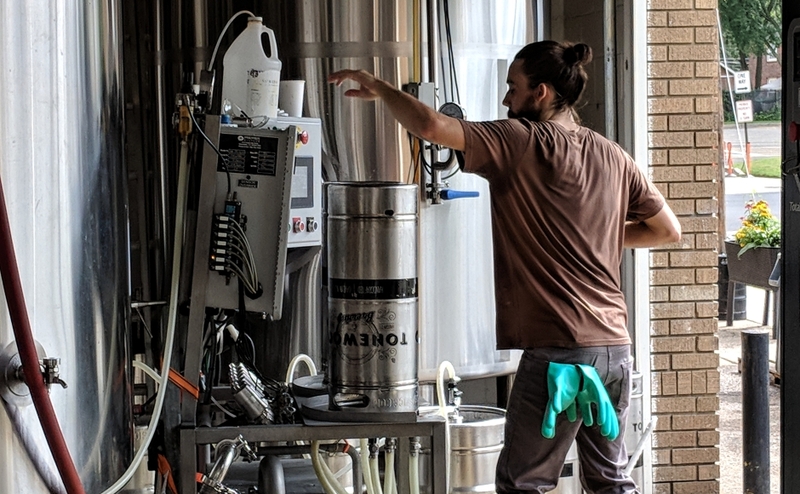 As those facilities blossomed throughout the state, bringing new business opportunity for local beer manufacturers, they also thrust brewers into a complicated and near-constant negotiation with bars and resellers who vend their products. A special ruling issued this week by New Jersey Division of Alcoholic Beverage Control (ABC) Director David Rible further outlined a number of significant modifications to the governance of the state’s craft brewing industry, provoking immediate reaction. “The 2012 amendment was not intended to establish a new consumption venue at the brewery, with the same privileges as a sports bar or restaurant,” Rible’s letter reads. “I cannot overlook the fact that the primary purpose of a limited brewery license is the manufacture of malt alcoholic beverages and the distribution of these products through the three-tier system, not the operation of a retail outlet for its products,” it continues. The special ruling, which is in a six-month pilot phase, makes a number of key changes to microbrewery operations. Double Nickel Brewing private event space. Credit: Matt Skoufalos. For a start, it caps onsite “special events” at 25 per year; these include activities like trivia nights, fundraisers, viewing parties, or live music. “Background” music, radio, and TV is permitted outside of a special event, provided it’s not the focus of the experience in the tasting room. 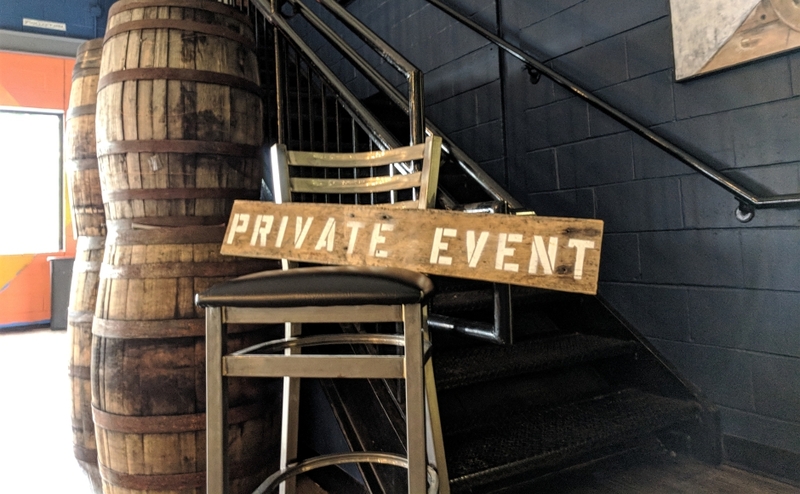 Additionally, breweries may host up to 52 “private parties” onsite—birthdays, anniversaries, civic functions—provided that those functions are hosted in a space separate from the tasting room. These may not be advertised publicly, no tickets may be sold to attend them, no outside alcoholic beverages may be provided, and guests must clean up their food when they leave. 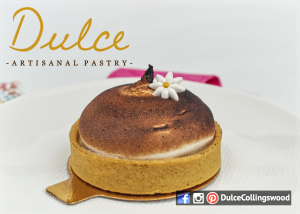 They may provide limited snacks and sell any carbonated, non-alcoholic beverages made onsite. Customers may still bring their own food in with them. Counter-balancing the limitations on onsite special events, breweries are now allowed to host 12 offsite events per year, providing beer service at a variety of public functions. It also requires that no microbrewery “shall use its license exclusively as a retail consumption license,” which means that packaged goods must be sold at every brewery. It also forbids breweries from hosting “pop-up shops, bazaars or craft shows” onsite. Finally, any outdoor areas at a tasting room, including beer gardens, must be surrounded by a three-feet-high barrier. Forgotten Boardwalk beers. Credit: Tricia Burrough. Immediate reaction to the measure was largely negative. Many craft breweries began circulating petitions among their customers, seeking to overturn or modify the rules outright. The ruling also provoked strong recrimination from Camden County Freeholder Director Louis Cappelli, Jr., who condemned “these capricious and arbitrary measures” as anathema to a growing industry. “I’m shocked to see the shortsighted obstacles and hurdles being mandated on one of the fastest-growing small business sectors in the state,” Cappelli, Jr. said in a written statement. He said that breweries “have had tremendous impacts on their neighborhoods, and have become a catalyst for economic growth in many municipalities… have become the epitome of community spaces, created destinations for new visitors to the county and have employed many of our residents. 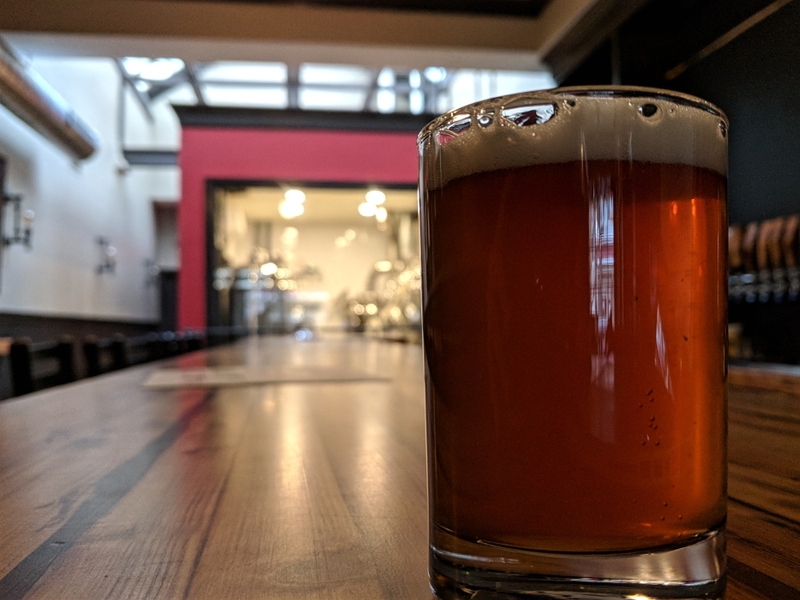 “And to further underscore the challenges created by this new measure, there are indirect losses faced by other small business owners and downtown merchants who benefit from the success of our craft brewers,” Cappelli Jr.’s statement read. 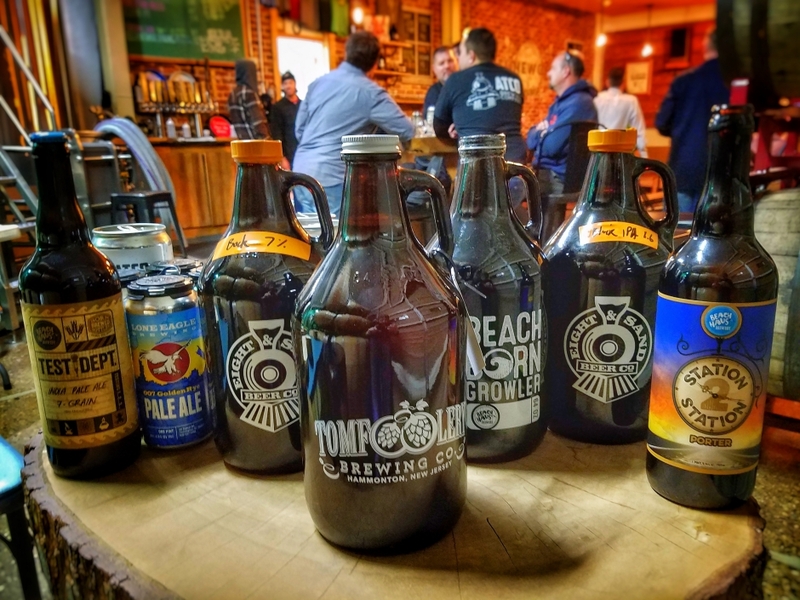 New Jersey Brewers Association President Jamie Queli, who owns Forgotten Boardwalk Brewing in Cherry Hill, said the new rules give members of her association a starting point for pushback. “This was the product of 10 months of negotiations,” Queli said. “I would have liked to have walked away with a lot more. Now that it’s written, I can do something about it. Chris Mattern pours a beer at Eclipse Brewing. Credit: Tricia Burrough. “We can now go to our regulators, ask our mayors, and see where we can push this and actually get laws changed,” she said. 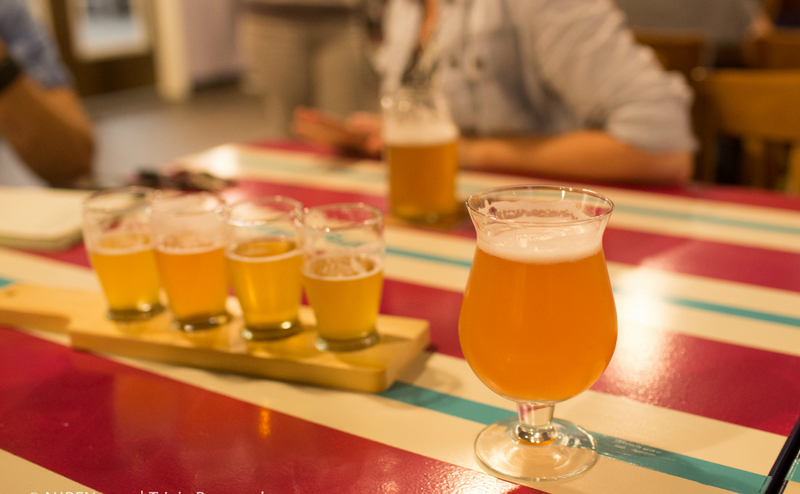 Queli said the restrictions were driven largely by complaints from bar and restaurant owners who feel that the atmosphere at microbrewery tasting rooms compromises their market share. It’s a delicate negotiation for brewers, she said, since many of those same competing interests comprise their retail base. 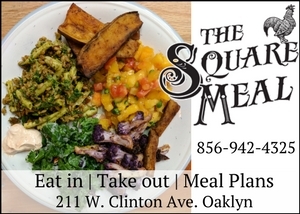 “There’s definitely been pushback from the bars and restaurant association,” Queli said. “The same people who hold these licenses are also the ones that are trying to stop the BYOBs from having [limited alcohol licenses]; they feel like every inch is an inch out of their pocket. Queli said her association will work “to combat this as much as possible,” citing the jobs, tax revenue, and tourism that the state’s growing craft beer scene has created. She claims that breweries “bring a different social environment than a bar does,” and pointed out that the rules changes could have been worse, including proposed caps on the volume that a brewery could retail in its tasting room. “We did win some things that aren’t in this,” Queli said. 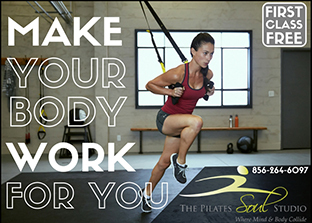 “They were going to force us to send 50 percent of our product out the door. Tonewood Brewing owner Eli Facchinei. Credit: Matt Skoufalos. Tonewood Brewing owner Eli Facchinei said the new regulations provide some welcome legal clarity that the industry had previously lacked. “The alcohol business is a highly regulated business,” Facchinei said. “You have to realize that going in. 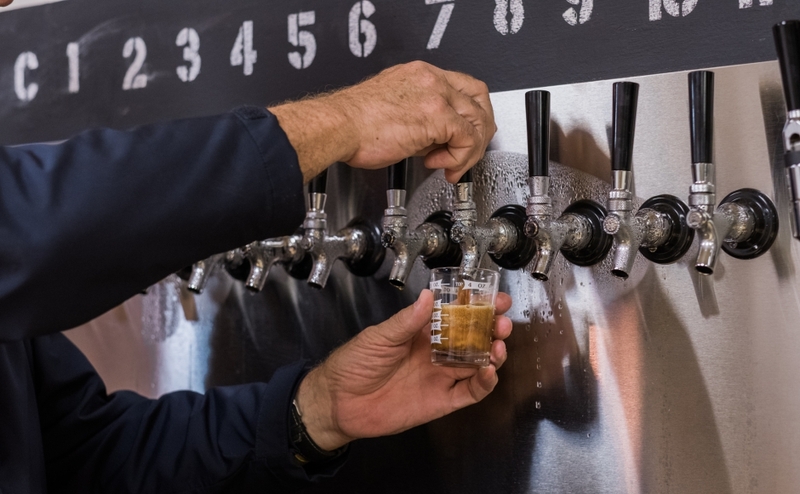 Facchinei marks the offsite permits as a potentially lucrative win for brewers, and said the ruling “finally defines the tour as being an interaction about the brewery and the beer,” not physically walking guests through the equipment. To Facchinei, the 12 extension of premises permits are “huge” for a brewery like Tonewood. “That allows us to compete against multinational conglomerates in having a presence at Fourth of July fireworks, beer gardens, sporting events that otherwise wouldn’t have beer gardens, collaboration festivals with breweries,” he said. Double Nickel brewer Drew Perry. Credit: Matt Skoufalos. 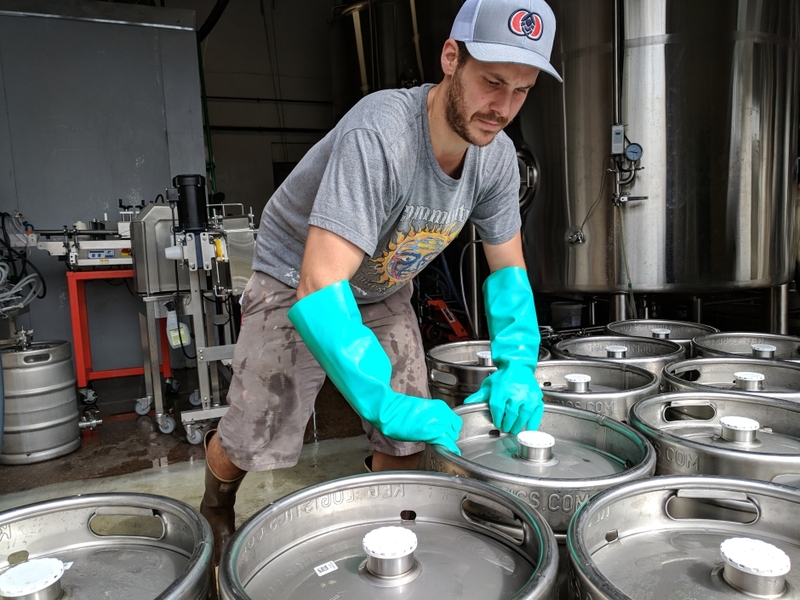 Pennsauken-based Double Nickel brewer Drew Perry said that not every establishment is able to adjust its operations quickly enough to comply with the new regulations, which take immediate effect. He cited the “gut reactions from breweries” in the wake of the ruling as evidence of frustration from brewers who are affected by the changes. “We opened our brewery following a set of rules,” Perry said. “We developed our business plan and constructed our brewery knowing what the rules were. 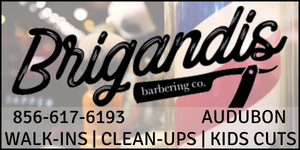 We have a dedicated event space that allows us to hold two events at once without disrupting our tasting room. “A little clarity [on the rules] is nice, but the clarity didn’t go our way,” he said. Perry also believes the ruling will have a deeper impact on nanobreweries, the smallest breweries in New Jersey, which often lack the physical space for mass production and rely instead on tasting room revenues. He urged prospective brewers to tread carefully before opening their doors. Devil’s Creek Brewery in Collingswood. Credit: Tricia Burrough. Complicating the relationships between breweries and local eateries seems to run counter to the intention of main street breweries as complementary to the economic growth of small-town business districts, Perry said. “You hear rumors of little towns looking for breweries because they see what breweries are doing for their neighborhoods,” he said. Perry was also critical of the notion that bars and restaurants are threatened by the prevalence of microbreweries in the state. He pointed out that liquor licenses have become commoditized by retailers who either paid a premium for theirs or have invested in one for its speculative value. At the same time, he agreed that the rules could smooth the relationships between brewers and resellers. Weston Rinker at Tonewood Brewing in Oaklyn. Credit: Matt Skoufalos. 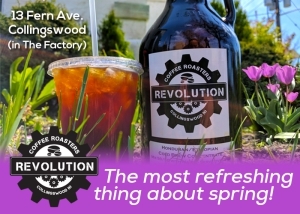 Oaklyn Mayor Robert Forbes, who recruited Tonewood Brewing for his borough, said microbreweries can manage under the new regulations “if their business plan is to be a microbrewery and not a bar. “I understand both sides of it,” Forbes said. “I think that New Jersey liquor laws are archaic to begin with when you can go across the river [into Pennsylvania], and any coffee shop can pay $1,500 and be able to sell beer, whereas you have to do $80,000 for a liquor license, and they’re restricted by population. Forbes said the success of the tasting room at a brewery should be incidental to its production aims. He encouraged communities that are looking to add a brewery to their downtown retail districts to make sure there’s opportunity for sufficient production space, and to consider it as part of a mix of businesses. “Something I’ve struggled with for the 19 years I’ve been on government is how to continue economic growth in town,” the mayor said. “It’s been the biggest challenge of my political career. I don’t think there is any silver bullet. “[Tonewood was] part of the resurgence, but there’s a lot of other pieces that went together to make this a congruent success, and it’s still a work in progress,” Forbes said. “Different venues bring different people to the town at different times,” he said. 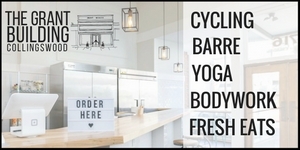 “The dance studio is a huge success, the coffee shop, the Square Meal, the pizza shop. The Mile owners Dave Welsh (left) and Ed Donohue. Credit: Matt Skoufalos. “We’re all working together and that’s the way we look at it,” Forbes said. 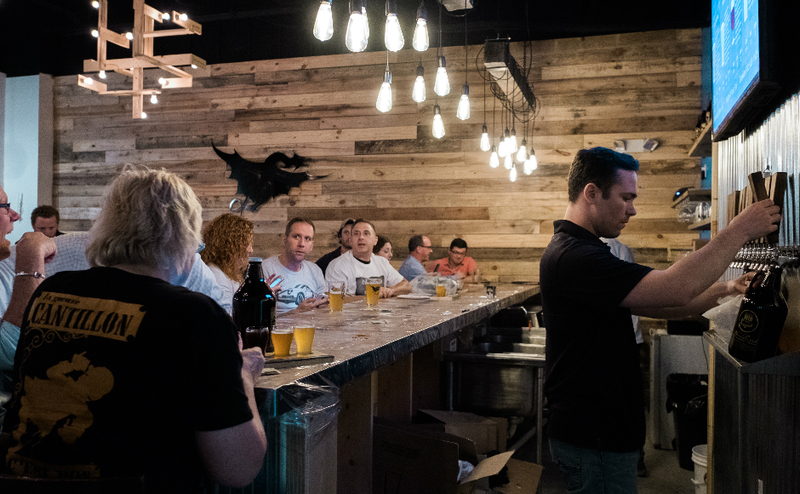 For at least one bar-restaurant owner, the craft brewing industry has been a foundation upon which to meet consumer demands, and not an eminent source of competition. 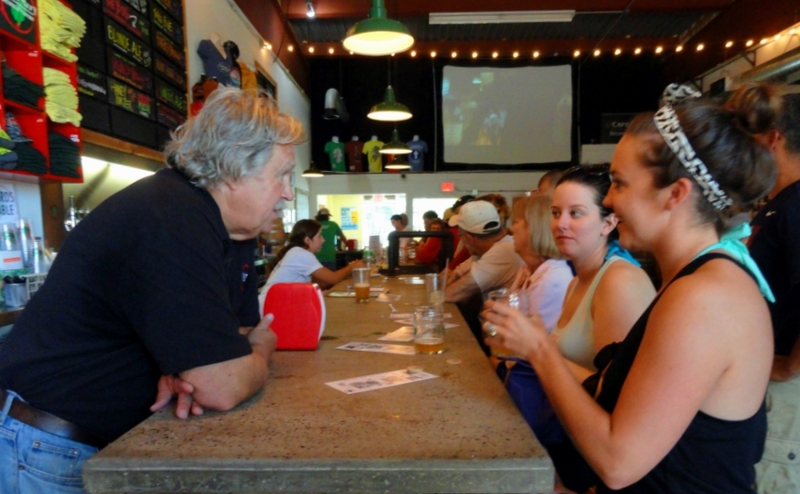 Dave Welsh, whose Runnemede-based bar, The Mile, was constructed around a 24-tap craft beer list, said consumer demand for microbrewery products drives a significant portion of his sales. 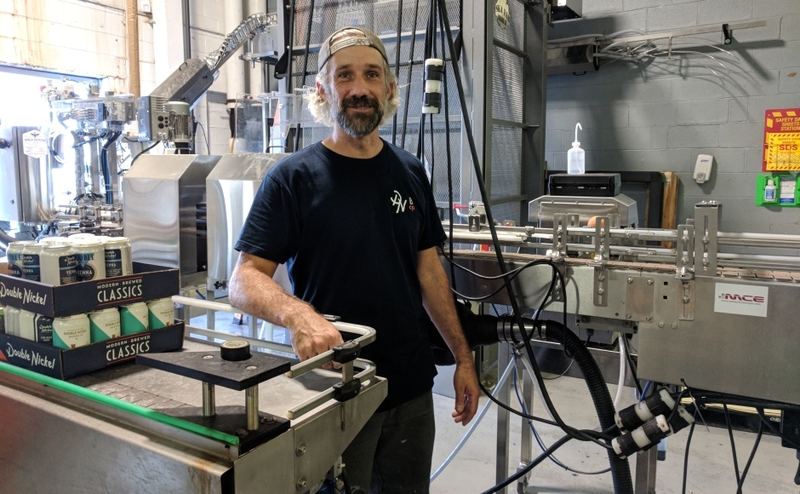 Welsh, who said he “tried to take the flair of the brewery industry” into the design of his space, views microbrewers as partners and potential collaborators, not competitors. His staff shirts say “Drink Local,” and he cites the value of craft brewers in educating the consumer audience for his business. “If that brewery does well in the town, there’s more people understanding what good beer is; more people wanting to go out,” Welsh said. King’s Road Brewing. Credit: Matt Skoufalos. Plus, he cited the expanded hours and unrestricted business opportunities of a bar-restaurant—an expanded inventory, food service, live entertainment— as far exceeding those of a microbrewery. “I can carry Tonewood and Kelly Green and Kane and Carton all in the same spot,” Welsh said. 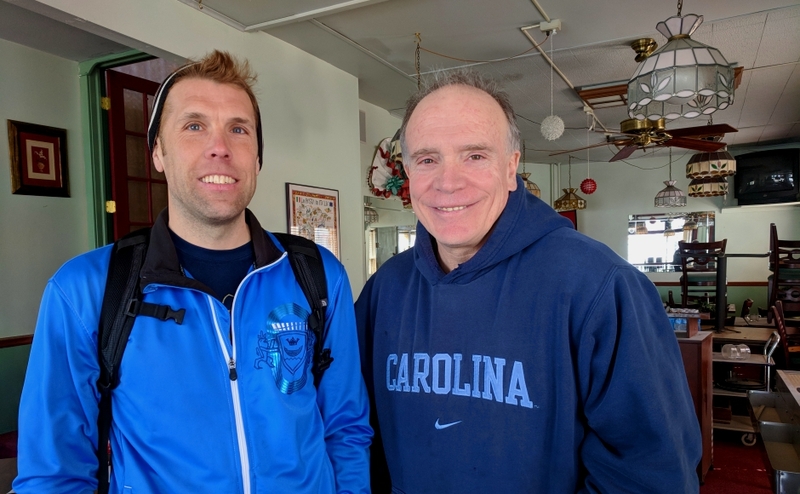 Welsh, whose Haddonfield RunningCo shares a block with Haddonfield microbrewery King’s Road, and whose Haddon Township home is around the corner from Tonewood, said he’s seen first-hand the local impact of the craft beer business. “It brought Oaklyn back to life, and it’s right around the corner from where I live,” Welsh said. 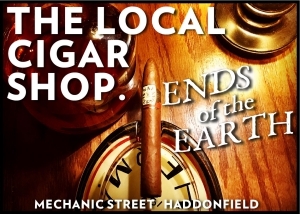 “It’s bringing a whole new dynamic to Haddonfield, maybe getting Haddonfield to have a nightlife.